Log cabin holidays are very different from the usual holidays at a hotel as these beautiful cabins made from wood merge with the rustic surroundings of nature so that they become one. You will feel like you have stepped back in time as you enter these incredible lodgings or just sit idly on the porch, gazing out at the quietly buzzing forest or the rhythmic waves of the sea before you. We have plenty of self-catering log cabins in the Isle of Wight available to rent so that you can feel the enchantment of this type of accommodation for yourself. Log cabins in the Isle of Wight are much sought-after, especially for those who love to surround themselves in an authentic rural location. Waking up to the sounds of the wildlife just outside your window is an incredible way to start each day on your cottage holiday and there is always plenty to do just outside your doorstep, such as going on nature trails and walks, cycling down winding paths and having picnics beneath the trees on a warm, summer’s day. These timber lodges and cabins are kitted out in all of the facilities you need when on a self-catering holiday in the Isle of Wight, with fully-equipped kitchens, cosy log fires, hot tubs and comfortable beds, and some even have swimming pools, BBQs and private gardens – although there is miles and miles of beautiful countryside on this island so you may not even need a garden! Having a log cabin holiday in the Isle of Wight is the perfect way to embrace all that nature has to offer on this beautiful island and knowing that you have such a luxurious and charming cabin to return to after a day of exploring will make your break all the more special. The Isle of Wight is paradise for nature lovers and there are plenty of nature reserves teeming with wildlife and beautiful lakes, ponds and gardens to visit. One of these sites is Dodnor Creek and Dicksons Copse. This area is known for its incredible array of birds, brilliant for a budding bird watcher. With coot, swans, mallard and swifts soaring over head, as well as beautiful water lilies on the ponds and many dragonfly species, it is a haven for those who love all things nature. Another impressive reserve to visit is Rew Down, which has gorgeous bluebells, orchids, highland cattle and the beautiful Adonis blue butterfly – one of the most striking of the species. For those who love to be surrounded by the natural world – from animals to insects to flowers and sprawling fields, Rew Down is definitely worth the visit. Log cabin holidays in the Isle of Wight are simply perfect for those looking to get back into nature and embrace all that the island has to offer. 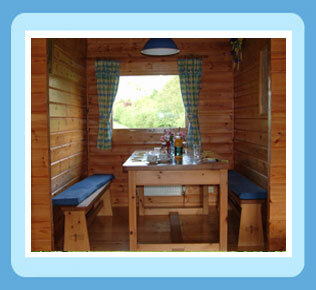 Whether you are planning to come on a break with the kids, your partner or your friends, there are different types of cabins available to suit all parties, from cosy cottages for two to larger, open plan lodgings with plenty of amenities. 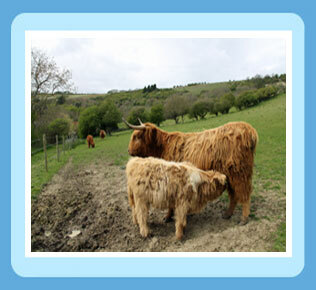 Have a look at our self catering log cabins in the Isle of Wight to start planning your perfect Isle of Wight holiday. A stay in a log cabin, surrounded by all that wood, is a real pleasure. A log cabin creatures a feeling of cosiness - a rustic shelter in the country. Find a lovely spot among the many beautuful acres of countryside on the Isle of Wight and enjoy a heavenly break with gorgeous views. Wooden buildings are often created expressly as holiday accommodation. These are built to high specifications, robust enough to wthstand family self-catering and comfortable enough for a good holiday experience.